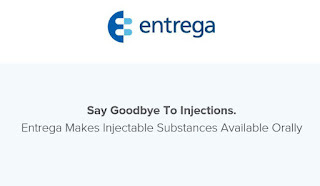 Injectable medicines, repeated injections of small molecules or biologic drugs, are commonly used for the prevention, diagnosis and treatment of various illnesses. Examples include insulin, intravenous antibiotics, vaccinations, and different types of sedation and anesthesia. This imposes a major burden on the healthcare system and cuts off fruitful avenues of drug discovery. Effective oral delivery of these substances could be transformational, cut overall healthcare costs, improve patient compliance, and bring a completely new set of innovative drugs on the market. 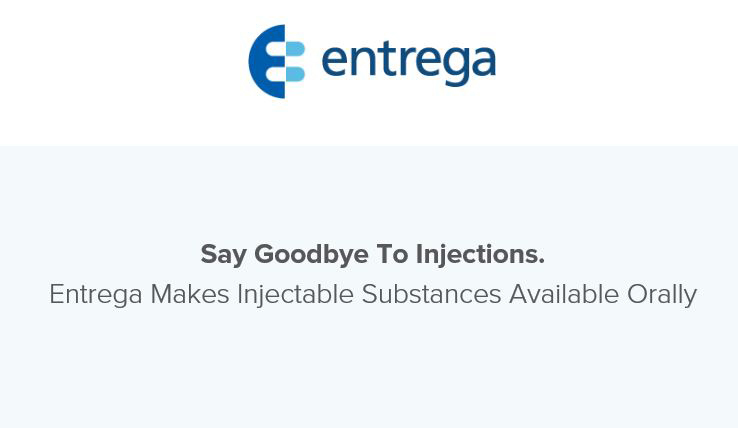 The startup Entrega is developing a delivery platform, transforming injectable substances into oral drugs. They have created a capsule that releases tiny, drug-coated wafers that attach themselves to the internal lining of the intestine and hang on until the drug can be absorbed. Research has shown that the wafers not only effectively adhere to the intestinal epithelium, but also systematically releases drugs, including insulin. The technology has the potential to deliver a wide variety of biological molecules, drug substances and nanoparticles. It can change how we perceive certain diseases, like diabetes, where injections are required several times a day. The development of an oral delivery platform could even help prevent unsafe injection practices, a huge public health concern that has grown substantially over recent years, especially in low- and middle-income countries. The innovative technology can disrupt major markets and provide new treatment options for hard-to-treat diseases, ultimately saving millions of lives.